Hi folks! We have a fabulous update for you containing pinning and Google+ sharing, shorter nicknames and rich commenting. 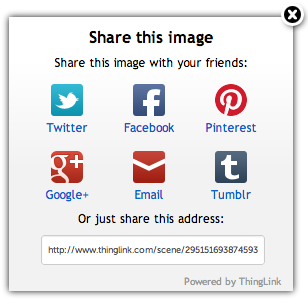 We improved our sharing options and you can now share any ThingLink image to Google+ and Pin it to Pinterest. 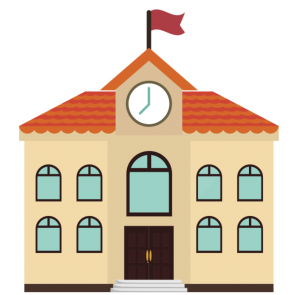 Share your cool images with your friends with one click. 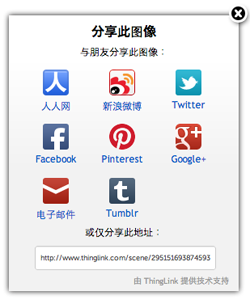 We did another thing as well – if your browser language is set to Russian, you will see a VKontakte sharing button and if it’s set to Chinese you will see Renren and Sina Weibo sharing options. 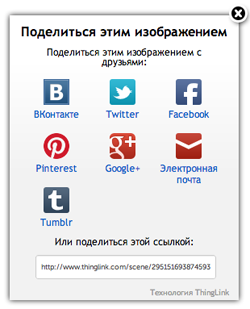 Did you also know that ThingLink features language regionalization for sharing and many other features and it’s accessible by any user who has set their preferred language in their browser. Listen up all people named Bob, Eve, Amy or Lou and any company with a three letter abbreviation. Hurry up since we now allow you to create three letter nicknames and they’re flying off the shelf. Have you checked if your nickname is already taken? This last one is really cool. You know how you dread clicking links because it takes you somewhere else and you know it’s going to take ages for it to load. 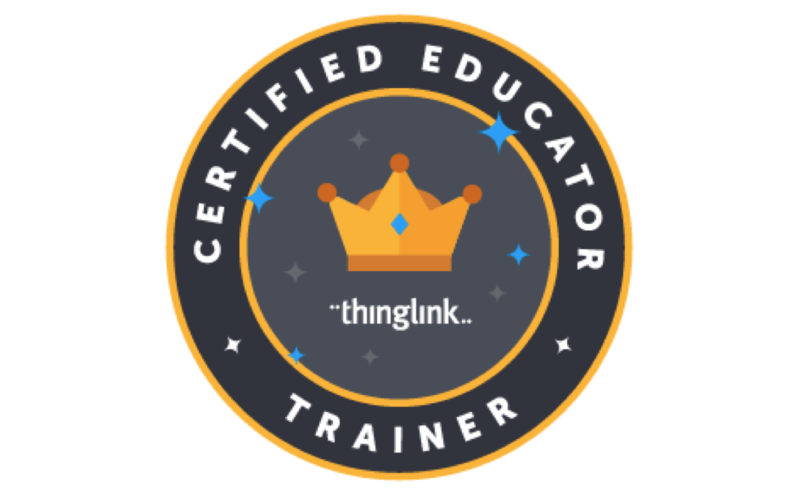 Well, comments on ThingLink.com are now treated as our Rich Media Tags, which means that whenever you hover over a link in a comment we will show you that link as a Rich Media Tag. The link can stream music or videos, feature commercial links or highlight social profiles. Go crazy with it.